There are loads of producers at such an event. It’s an interesting place to meet those who are the life and breath of the Cognac industry. This year I met some good people – some faces of old, some new – so it was fantastic to get to meet everyone people in person. I didn’t have a particular schedule, so I allowed myself to wander around the show, meeting producers in the natural order I came across them. Here’s my article of Prowein 2016. Lecat is run by Yann Hamonou and Hélène Lassoudière Audouin, and I was delighted to see them again. 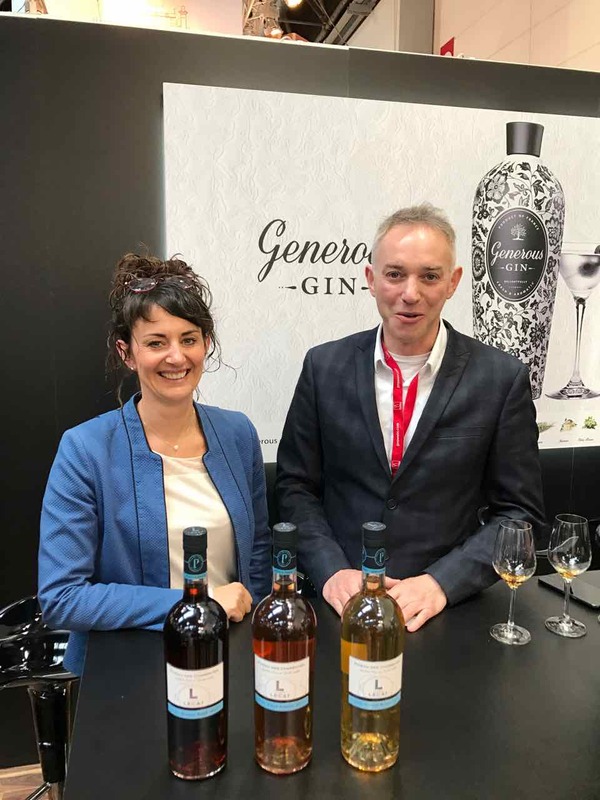 We briefly talked about their new products: their new line of three new Pineau des Charentes. This comprises a white, a rose, and an older rose – all made in the traditional manner to a classic design. Check out their products & profile: Lecat Cognac. 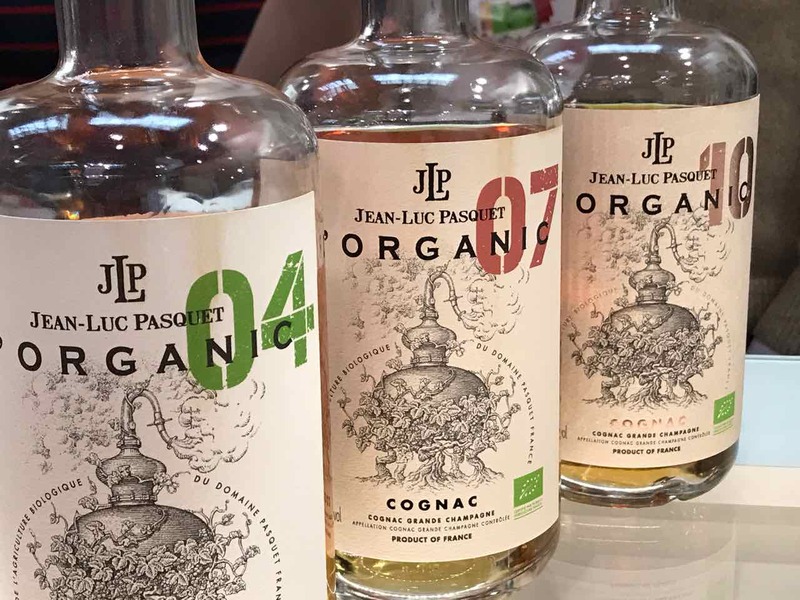 If you’re not familiar with Pineau (AKA the ‘little brother of Cognac’), check out our article about Pineau des Charentes. Here I met with Edouard Normandin-Mercier. All the Cognacs produced by Normandin Mercier are from the Grande Champagne terroir. I tasted a couple of their Cognacs. But my favorite had to be the Normandin Mercier La Peraudiere. It’s a winner on all counts, both the taste of the Cognac and the design of the bottle. 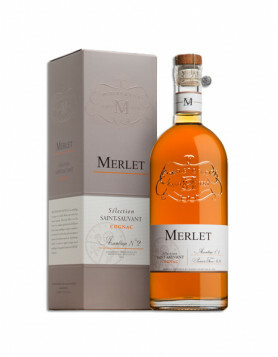 A Brut de Fut delight, it comes in a 50cl bottle, and at 44% is a strong, powerful Cognac. Some enjoy it neat, or you can add a splash of water if you like. Available in the Cognac Expert online shop, La Peraudiere is well worth a try. I also tasted their Grande Champagne Rare Cognac, which was excellent. But for something really special, then it has too be the range of vintage Cognacs on offer. I was lucky, I got to try them all – a 2006, a 1980, and … my favorite Normandin Mercier Cognac, definitely 1976 Petite Champagne. This booth was a real family affair, and I was greeted by father, brother, and sons of the Godet family. Innovation and creativity shone through with these guys, with the booth decked out in blue with an Arctic feel that showcased their product called Antartica. Jean Edouard Godet let me try the house’s latest product, God by Godet. This is a super high proof from the Fins Bois terroir. And when we say high, we mean it, as this little baby checks in at an incredible 71.4%! Suffice to say you’ll need to add a little ice. But it’s worth a try, and I like the somewhat weird name too. Another Cognac I tried was the classic, Godet Gastronome, which now is an organic Cognac (they changed that). 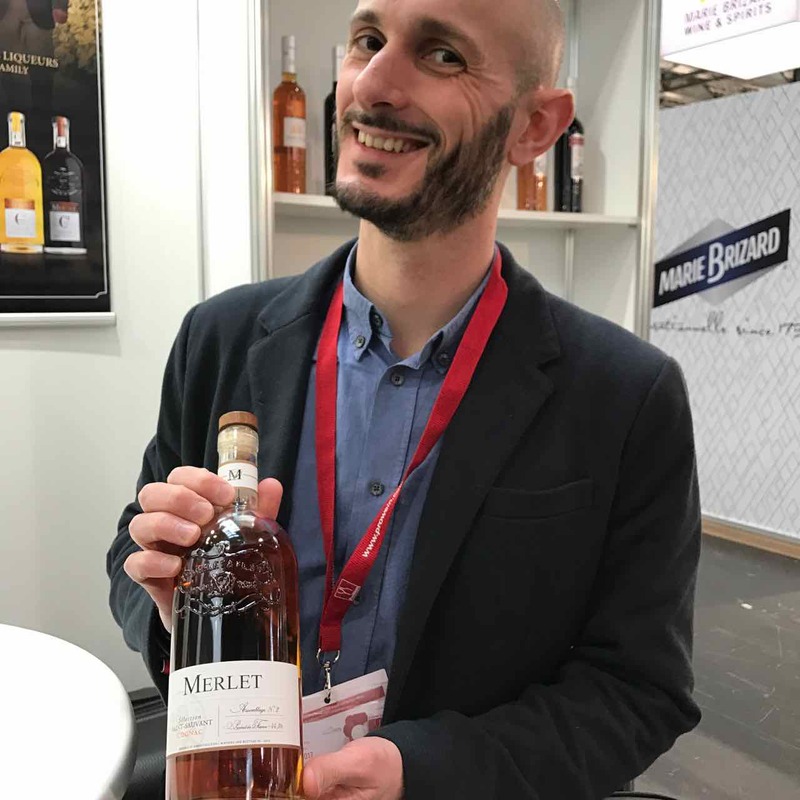 Godet sells a VS quality Cognac that caught my eye – called the Gentleman’s Cocktail – hey, anything that introduces the delights of Cognac to more people, and that helps throw off that ‘stuffy old man’ image, is good news as far as we’re concerned. Next stop was one of my old favourites (as in brand, not in innovation or new products) – ABK6. They had a little bar integrated into their booth. A great addition, from my point of view. After all, at a beverage trade fair, having a bar on your stand can only be a good thing. Here I discovered their brand new Vieux Pineau that’s 10 years in the making. 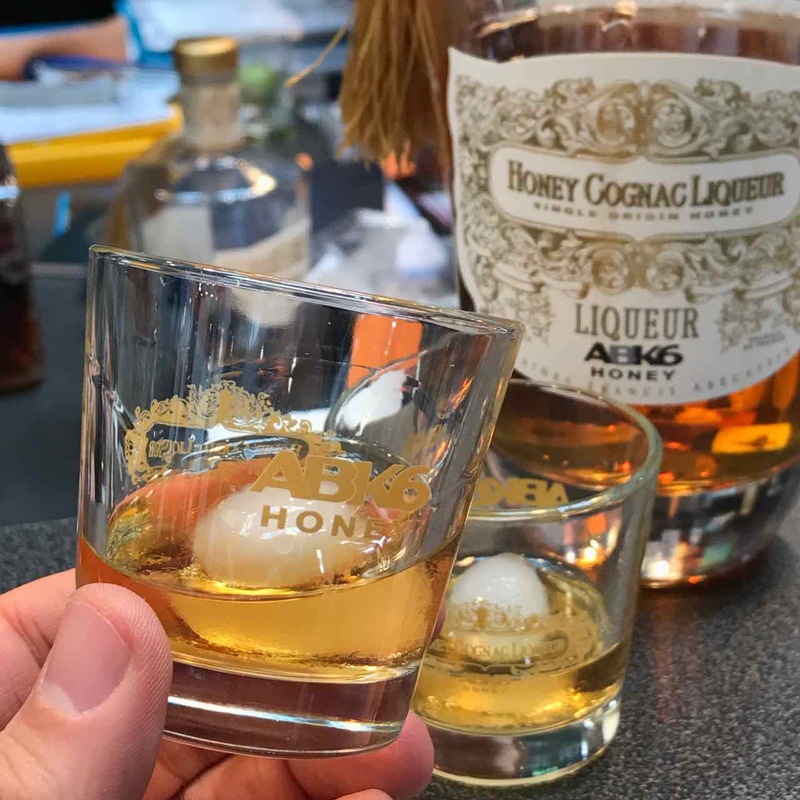 I also tried (again) a shot of their Honey Liqueur – made with single origin honey and created by cellar master, Christian Guérin. 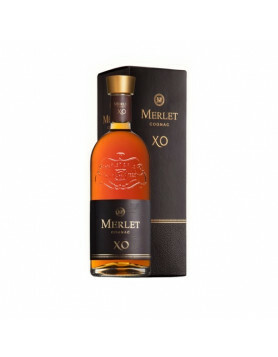 If Cognac liqueurs are your thing, then this one should definitely be on your wish list. One of my favorite brands, the Bache Gabrielsen booth had (naturally) a very Scandinavian feel to it. 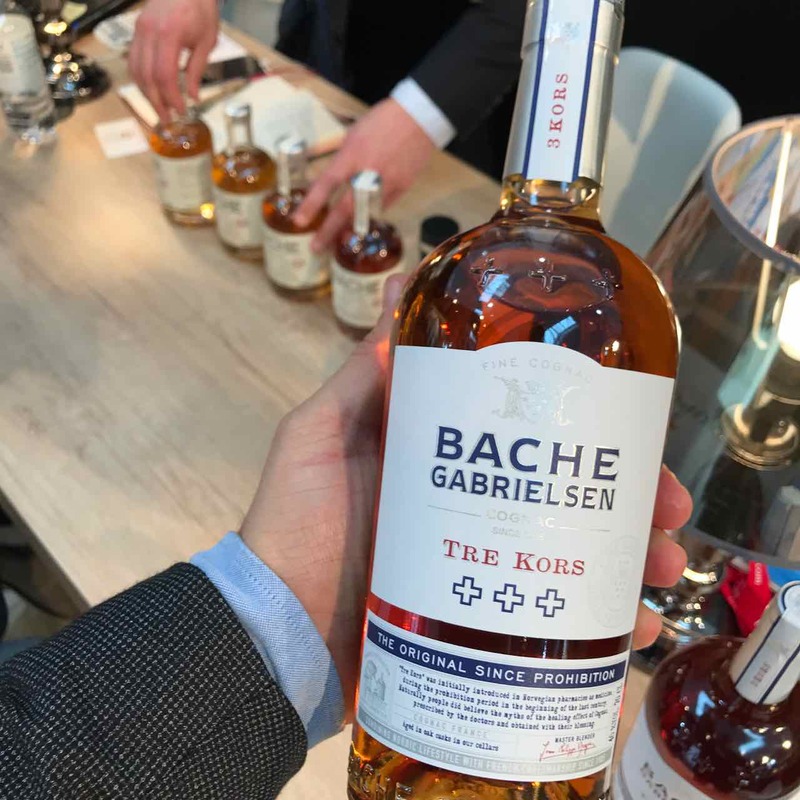 I got to try the newly revamped classic, the Bache Gabrielsen Tre Kors. This Cognac has been a best seller of the house for a while now, and the redesign of the bottle really gives it a modern feel. I really liked it. I also got to try the Tres Vieux XO. This is a typical Grande Champagne Cognac – bold and loaded, it comes in a 50cl bottle. I then got to try a Cognac that, from my point of view, is a bit of a paradox. The new American Oak is really interesting, because the contrast between the nose and the palate is downright remarkable. On the nose it comes across as a young, fresh Cognac. But on the palate, you get the real delight of this Cognac – it’s round, rich, and really quite specific. I enjoyed this one a lot. Check it our in our online shop here. 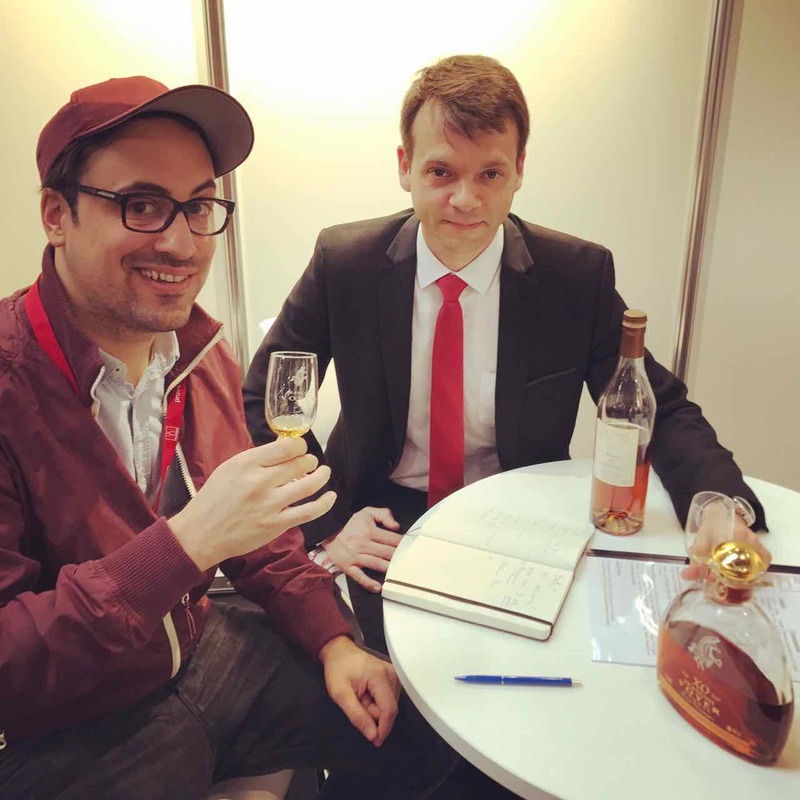 Gautier has a new brand ambassador, Loic, who used to be part of bisquit cognac »”>Bisquit Cognac. He’s one of the people I’ve been talking to on Twitter for a while now, so it was a delight to meet him in person at last. At the Gautier booth I sampled their entire range (almost). 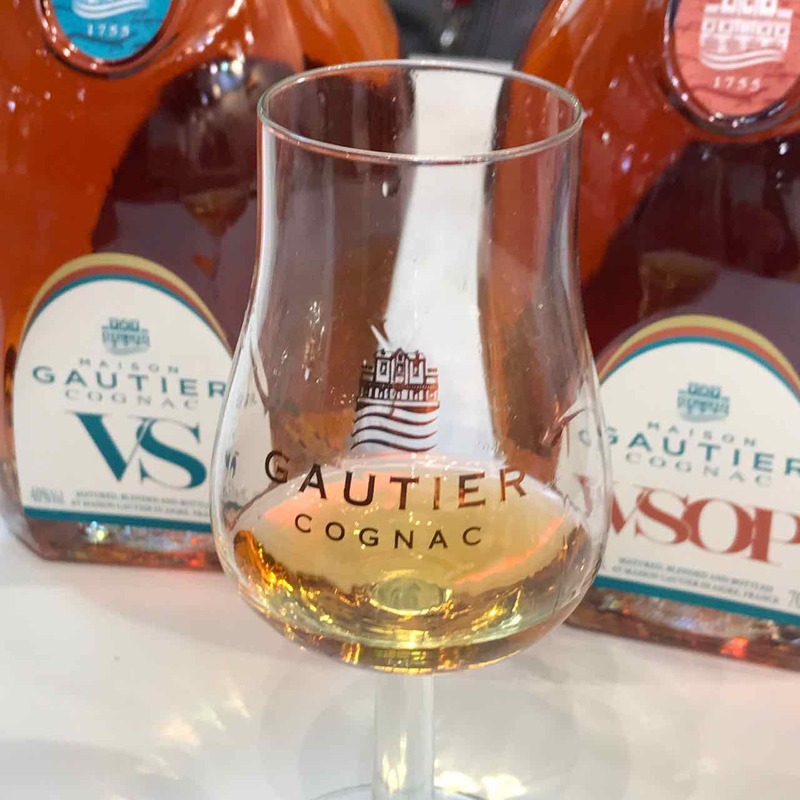 The house has a great history and I’m going to review all of their products very soon – so stay tuned to get the low down from this traditional Cognac house. I even managed to grab a sample of Gautier Eden Cognac which I am going to review soon. The small, artisan, family owned house of Jean Luc Pasquet is run by a delightful couple, Jean and Amy. They are a great team and have just introduced a new organic range. My favorite from this house (both for taste and value for money) is Pasquet Tradition Familiale – I really like that one. I also love the new design, which includes an illustration of an alambic pot still peeking out from behind grape vines. I like it, in a kind of strange way. 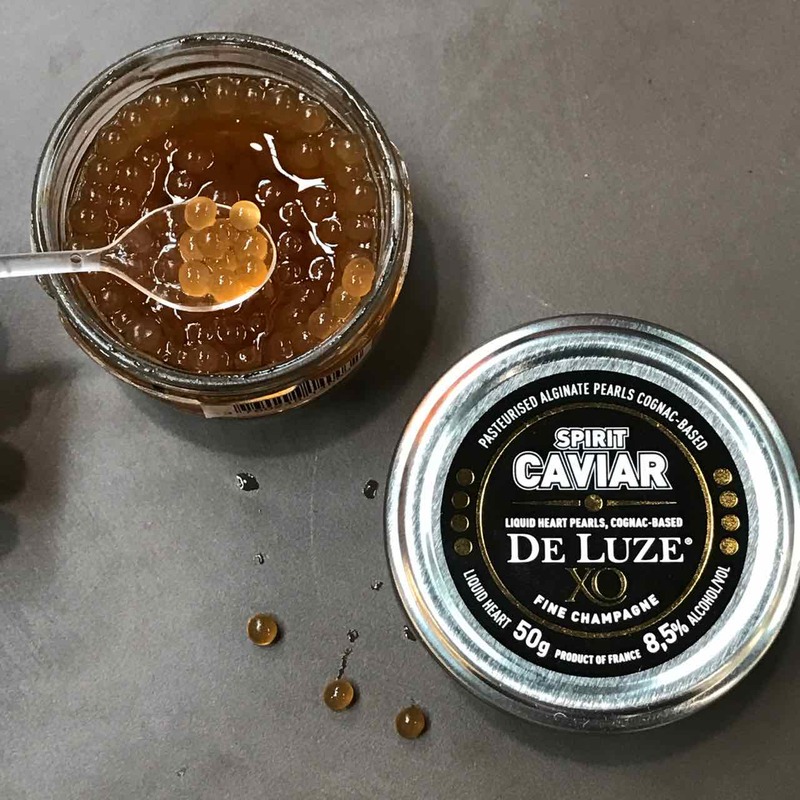 I don’t think it’ll be a huge seller for De Luze, but it’s innovative, and once again – I take my hat off to any producer who does something a little bit different. They’ve also redesigned the bottle of the A De Luze, changing the silver bottle to one that’s transparent. It’s a very young Cognac designed for mixing. If that how you drink yours, then this is a great choice. The whole Dupont Cognac range has been updated with vintage like details, which I think is a great selling point. 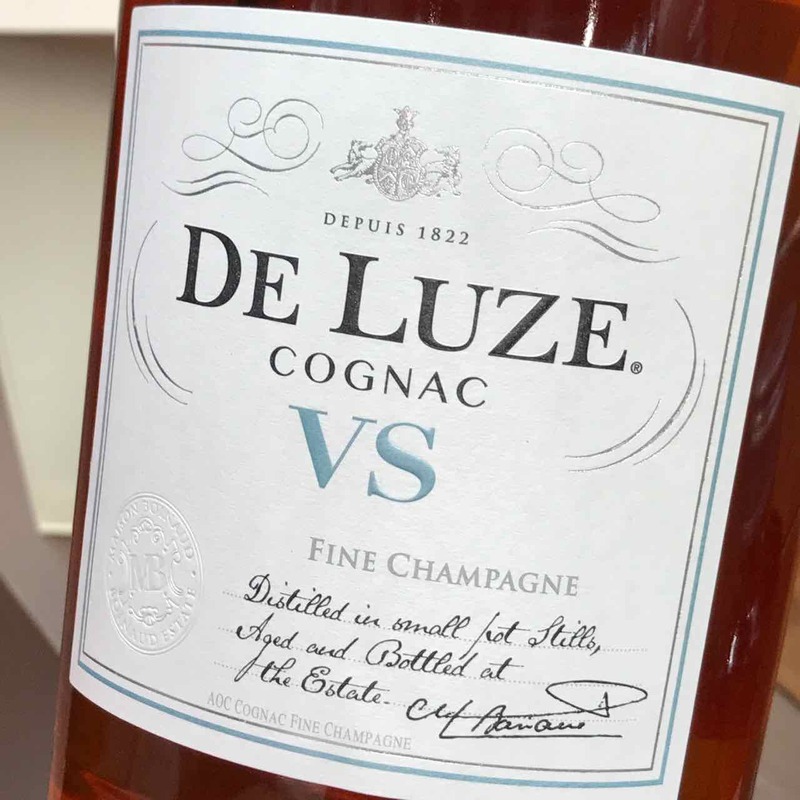 In fact, De Luze Cognac are on an innovative path right now, improving their designs, updating the label of their VS (beautifully simplistic and traditional), and, excitingly, concentrating on creating a ‘mother brand’ to encompass all of their Cognacs. Next I went to see Pierre Vaudon, cellar master of the house. I really like their XO Cognac, so was really happy to be given the opportunity to taste it again. And yes, I still really like it. Pierre then told me about his wonderful new Cognac brand, Vaudon Cognac. This is a wonderful example of a small, artisan, connoisseur brand that’s so new that all the eaux-de-vie in the line are still developing. It’s one to look out for in the future for anyone who appreciates traditional and authentic Cognac production. 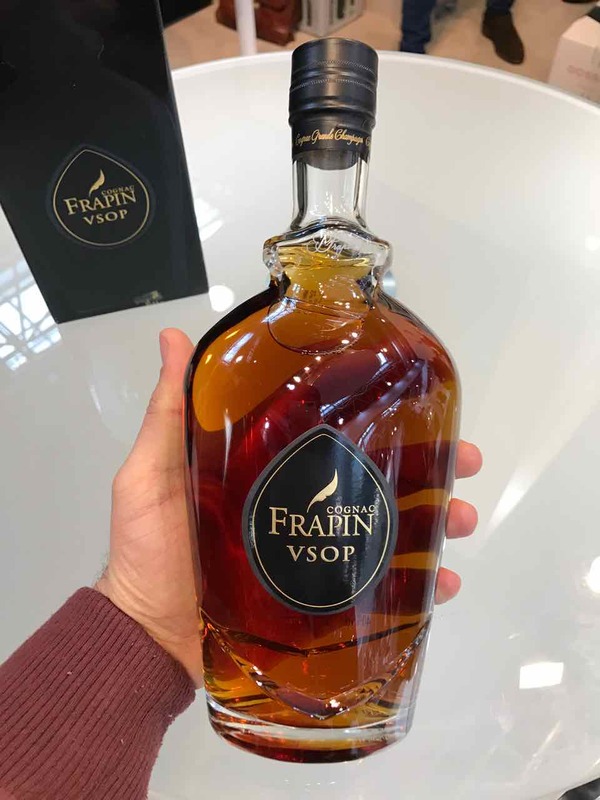 At Frapin Cognac,Jean-Pierre Cointreau showed me their revamped VSOP bottle, following the design of last year’s update of their XO. It looks great, and is a very coherent step to take. I think this is a good development in terms of design. As always, the Frapin booth is large, classic, and has a wonderful presence at the show. Here I met a delightful young lady, Justine Tesseron, who showed me the range of Tesseron Cognacs. 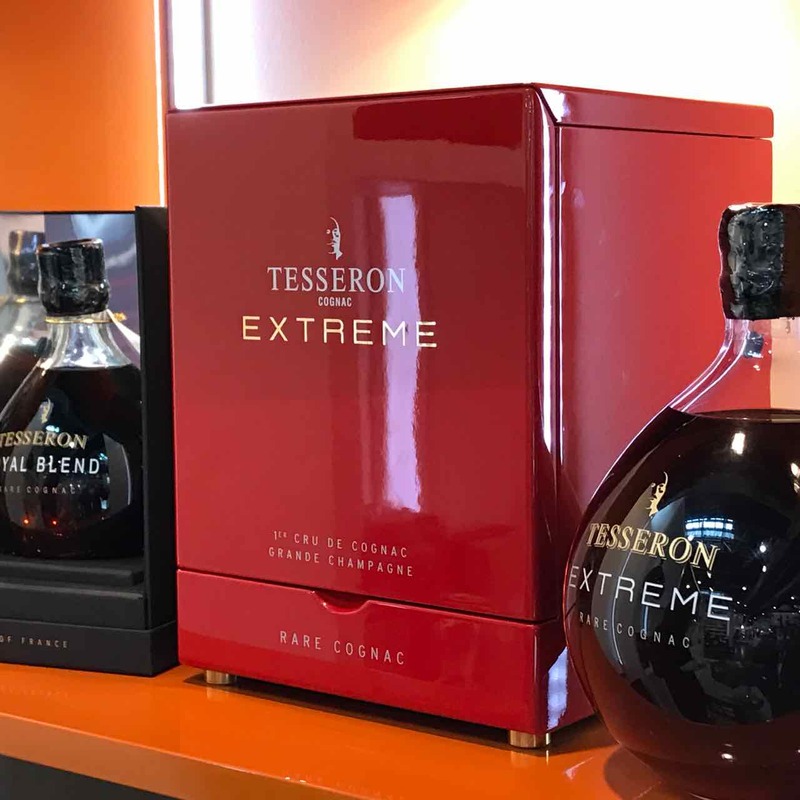 She also reminded me that Tesseron Extreme is currently the oldest Cognac available to purchase on the market right now. I have to say, I haven’t verified that information, but she could well be right. At the Meukow booth I met Meukow’s head Philippe Coste. 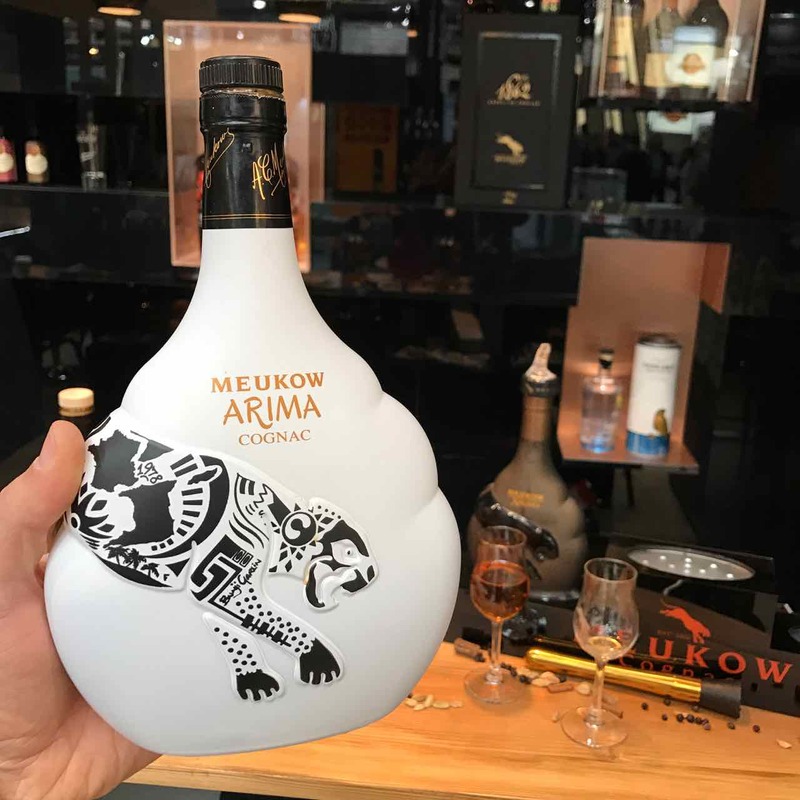 Here I got to try the new limited edition Arima, presented in a funky white bottle with tribal designs. I also discovered the new Golden VSOP Limited Edition and, quite excitingly a new product that is like a bitter, tastes like a bitter (but cannot be called bitter), called Meukow Cocktail Flavoring. It’s really interesting and is great in a Cognac Tonic (for example) or a gin and tonic. I personally do not love overly sweet longdrinks & cocktails. 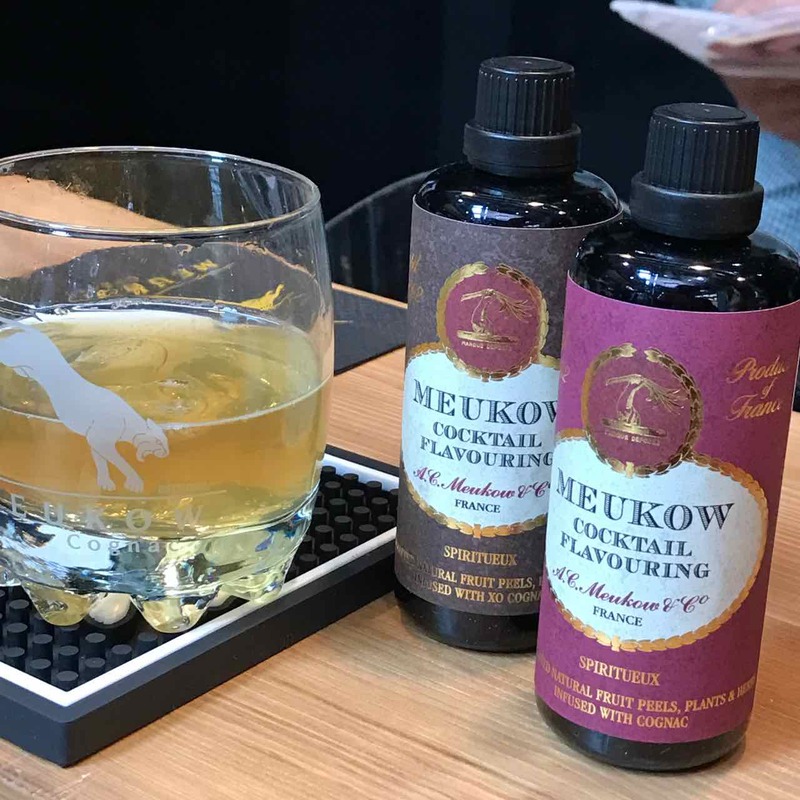 Meukow is really serious about cocktails and the use of Cognac in them – this really is great for the industry in this category. Here I met Anne, the lovely international manager of Camus. 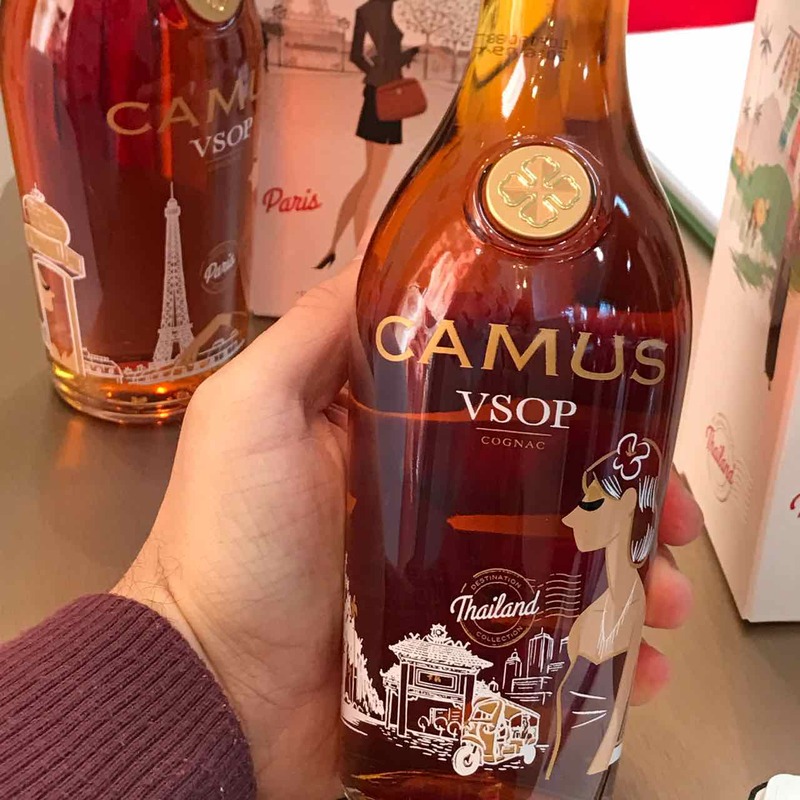 She happily showed me the Camus Destination Limited Edition Cognac, with a bottle that – hence the name – shows different locations, such as Paris, Hong Kong, Thailand. Some days later I made a live video on facebook. 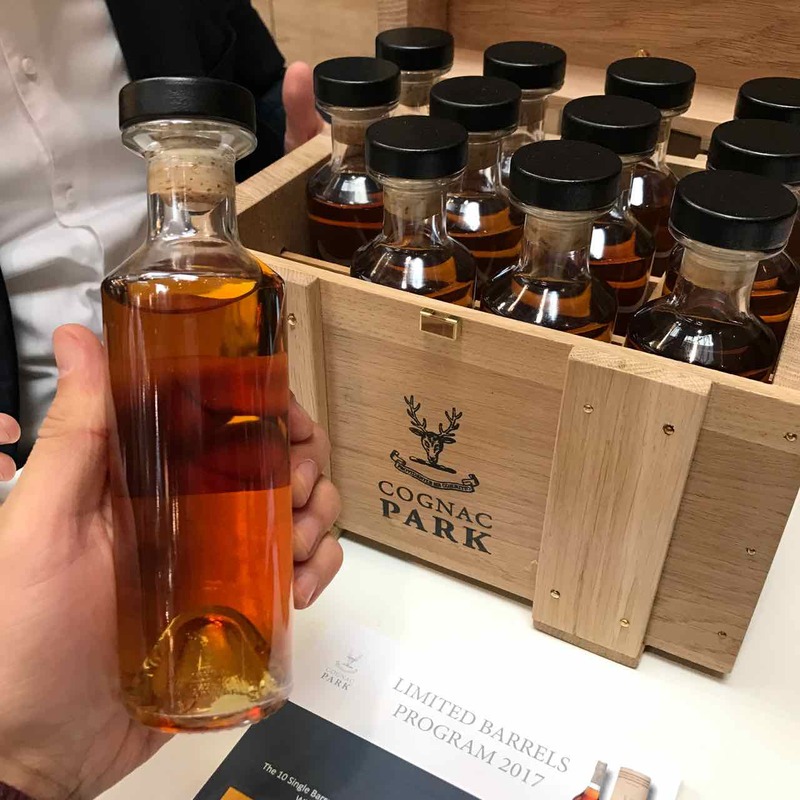 Jérôme Tessendier showed me his amazing ‘Limited Barrels Program’. This is a selection of different eaux-de-vie (focusing on younger and mid-aged Cognacs) that people can use to educate themselves and others into the difference between terroirs. It’s somehow a toolkit for distinguishing between different taste styles. It’s a fabulous idea, and Jérôme is one of those great people who’s smart, super-knowledgeable about Cognac, and happy to share this with others so they too can learn. Not heard of this brand? 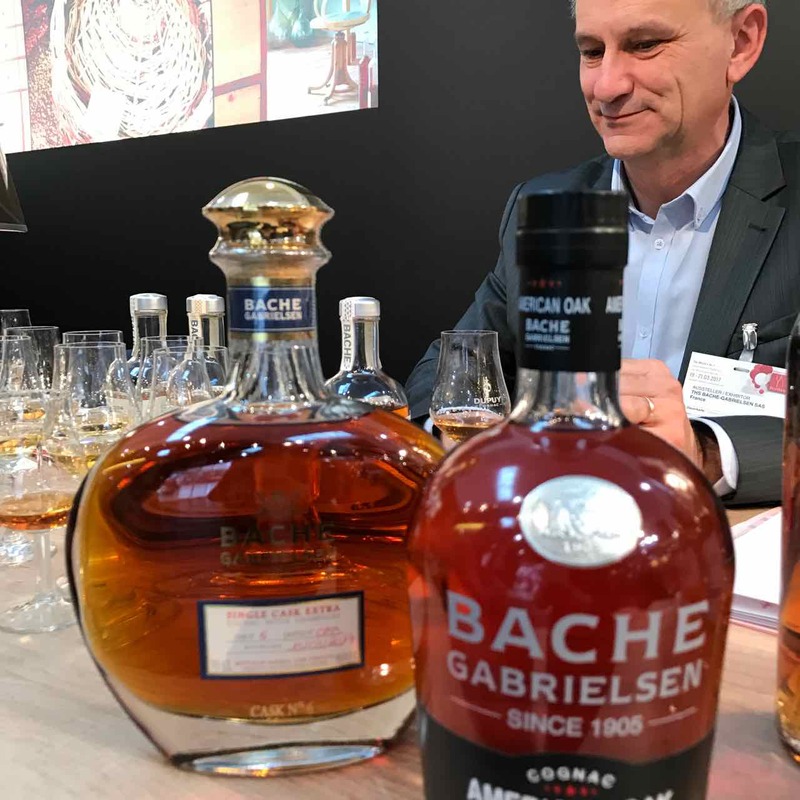 That’s no surprising, because it’s a brand new label being launched by Dobbé Cognac. A brand made solely of Petite Champagne eaux-de-vies, we’ll let you know more about it as we find out. 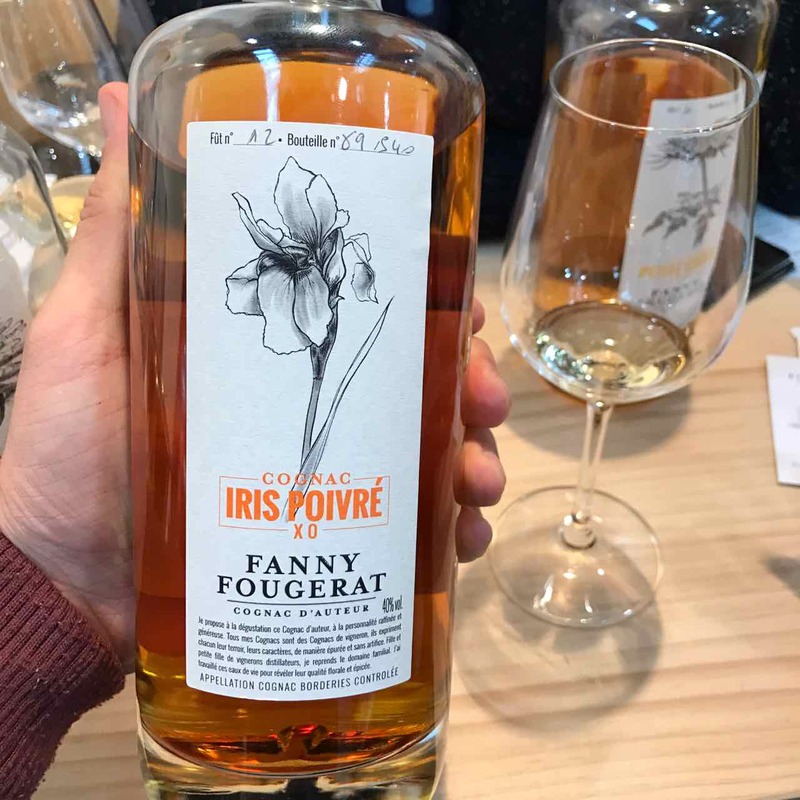 Their first time at a trade fair, the brand of Fanny Fougerat is one that I found out about some months ago. Very designer, very craft, this is a brand I really like – especially the Iris Poivré XO Cognac. 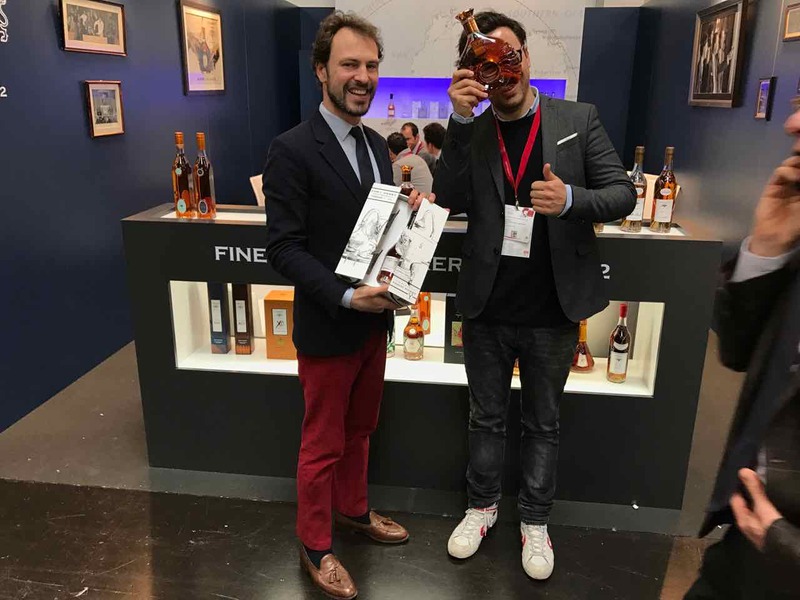 Overall, Prowein 2017 was a great showcase for the Cognac brands. I think there’s somewhat less innovation this year than last, but as always, a fabulous place to visit and learn a little more about our favorite tipple. I hope that my musings of the day have been of interest and tempt you too to maybe try some Cognacs you might not yet have had the chance to taste. 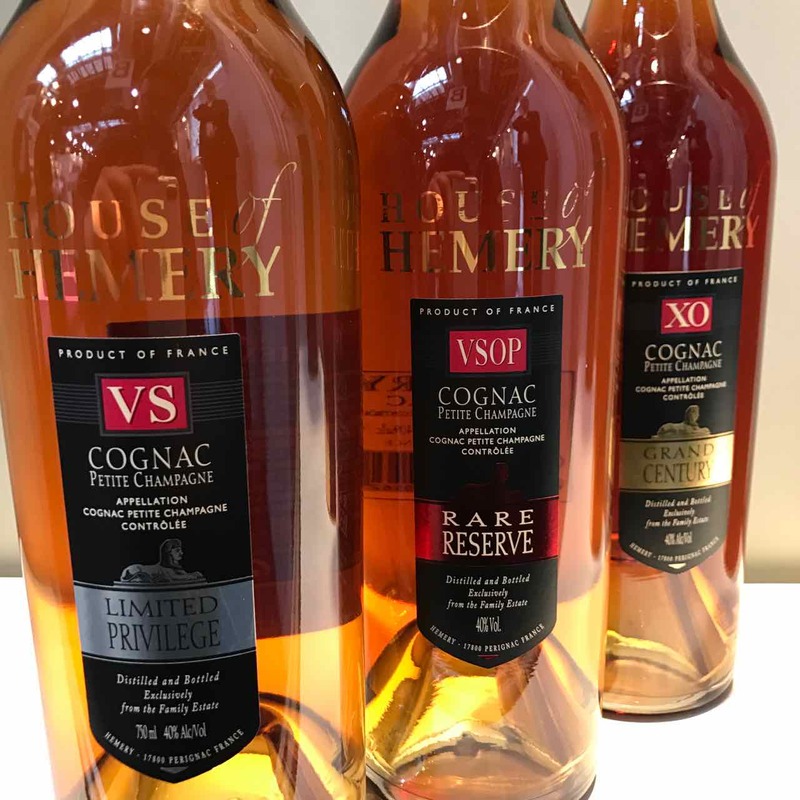 Also, many of the Cognac houses I met will not attend Vinexpo which I find very interesting. 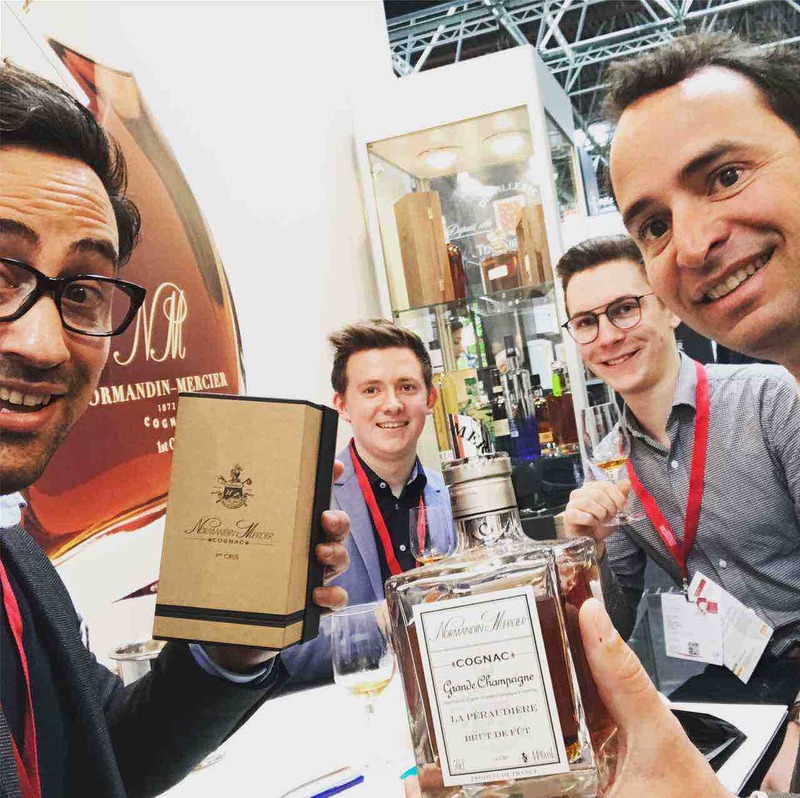 It shows us that Prowein is becoming more and more important. See you next year!